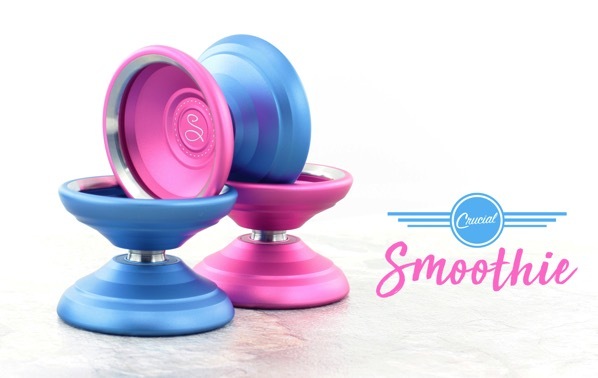 YoYoExpert Blog & Yo-Yo News – New Crucial Smoothie Restock & Lower Price! Weighing in just under 65g, the Smoothie is a little on the lighter side, but it has a beautiful presence on the string. The steel rings push an impressive 30% of the total weight to the rims for maximum stability and spin time without making the Smoothie feel overly heavy in play. It plays fast, stable and holds spin power through the longest combos you can throw at it!